Do you know what mamey is? Millennials still don’t, but they already want to try it. With 2017 being the year of exotic topical fruits, as we commented in the Sensory Value blog at the beginning of the year, in 2018 we will encounter their flavours again in the upcoming product launches of the food industry. Mango and papaya have already found their place in the yogurt and ice cream markets, and now new flavours are arriving directly from Latin America, such as mamey sapote. Originally from Cuba, Mexico and Puerto Rico, the mamey is a fruit with a creamy salmon-coloured texture reminiscent of boiled sweet potato or pumpkin. Until recently, its commercialization had been limited to a purely local market. However, its organoleptic notes of vanilla and nutmeg – typical spices in recipes for confectionery products – along with other fruity notes of banana, pear and apricot, have now attracted the industry’s attention. 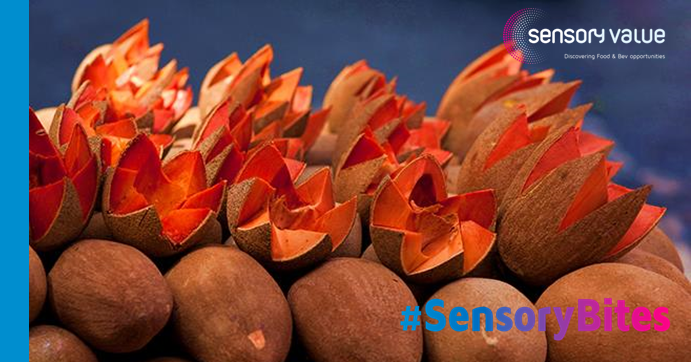 In fact, the French company Aromatech, which designs new flavours for the industry, has developed a new food aroma based on the taste of mamey to anticipate the demand for it that they foresee in the confectionery industry. According to the firm, mamey will find a place in sweets and ice cream thanks to its fruity flavour and its low acidity. In the search for new flavours with which to reach the Asian market, they consider that this new flavour can make an impact in some countries where the food sector is difficult to enter, such as China and Thailand. What flavours are millennials looking for? The younger generations – the millennials and generation Z – are continually looking for new natural flavours to experiment with. The food industry must take these generations into account: it’s not for nothing that they will be the consumers of the future. Never mind if the name doesn’t ring a bell or they don’t know the ingredient in question, the new generations want to surprise their taste buds with novel sensory attributes. That’s why product innovations based on ethnic flavours, such as ginger and jasmine, have found a niche market in them. And, naturally, this is where tropical fruits come in. In fact, this boom is especially noticeable in the beverage sector. Some multinationals are developing line extensions of their most popular brands based on exotic vegetable flavours such as baobab and açai. For example, in the United States demand for dragon fruit has seen year-over-year growth rates of 300%, and everything indicates that it will continue to rise in 2018. The Sensory Value team will be keeping a close eye on how this trend evolves. No Replies to " Do you know what mamey is? Millennials still don’t, but they already want to try it."